It may have never occurred to you that outlets need jazzing up, but now that you’ve seen this, you can’t possibly agree anymore. The Hanaga Tap was created by a small design studio called ekoD Works and partly crowd-funded by other folks who appreciate a good schnoze. 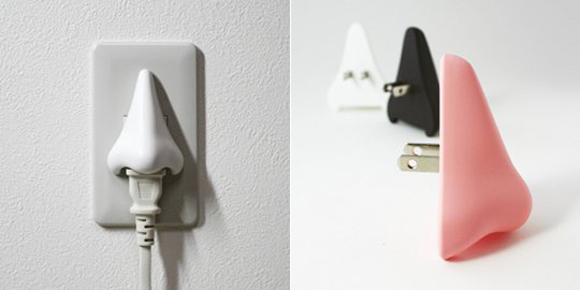 Dull outlets don’t stand a chance against a nose plug-in. Available in three colors (white, pink or black), it will work with any two-pronged outlet and hang there waiting for you to plug something else into its nostrils.